Louise Brown made world headlines as the first test tube baby when she was born in 1978. Since then, IVF (In Vitro Fertilisation) has given hope to millions of couples who otherwise would never have become parents. I chat with the Sunshine Coast “baby makers” helping turn dreams into reality for those struggling to fall pregnant and meet a special couple who has been blessed with a family they never thought possible. From the breathtaking moment you see the positive sign on the pregnancy test, to the first time you hold your precious baby in your arms, there is nothing quite like the life-changing journey of becoming a parent. While many couples are fortunate to fall pregnant without assistance, for others it’s a much harder road, often filled with devastating lows and a rollercoaster ride of emotions. But thanks to the wonders of modern medicine and the incredible doctors, nurses, scientists and support people who are passionate about helping these couples through IVF, what would have been near impossible for many can become a reality. Speaking of passionate doctors, I was fortunate to chat with two well-known, inspirational obstetrician/gynaecologists, Dr James Orford (Fertility Solutions Medical Director) and Dr George Bogiatzis. 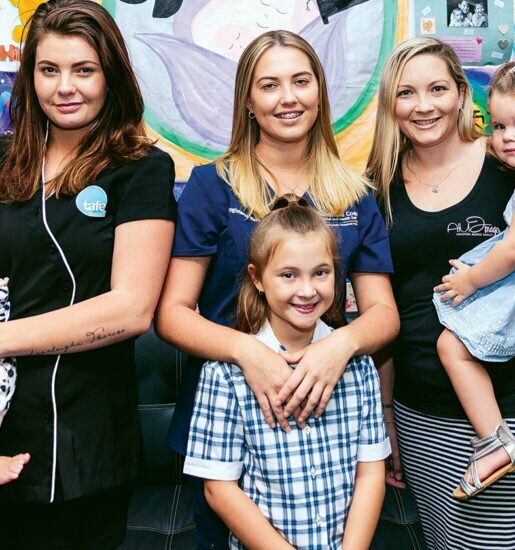 Together they have delivered thousands of babies to Sunshine Coast couples over the last 16 years, both through their individual private practices and their jointly owned clinic, Fertility Solutions at The Sunshine Coast Private Hospital in Buderim. When it comes to fertility, George has a special interest in PCOS (polycystic ovarian syndrome). Passionate about focusing on individual needs, he and his team offer a warm, relaxed and inviting approach, which allows patients to feel at ease and comfortable about asking questions regarding their health and treatment. Specialising in laparoscopic (keyhole) surgery and endometriosis, James has spent more than 15 years developing this surgical skill which can increase a woman’s fertility. He also teaches trainee specialists and invites specialists throughout Australia to attend his theatre sessions to learn innovative new techniques. James and George, together with fertility nurse specialist Denise Donati, opened Fertility Solutions in 2007 to provide Sunny Coasters top quality fertility treatment, and offer the largest group of highly trained fertility specialists under one roof on the Sunshine Coast. Not your typical fertility treatment centre, both doctors and Denise had a vision for Fertility Solutions to be designed with a cosy, home-like environment, where patients feel like part of a family. But that doesn’t mean they are not just as successful as their bigger counterparts in the capital cities. In fact, Fertility Solutions is accredited yearly on its results and overall practice – and must achieve or exceed results that are acceptable by the industry. “Our results are closely monitored and we are very proud of them, combine this with being a small boutique clinic who really care about our patients it’s a win-win for all,” says George. 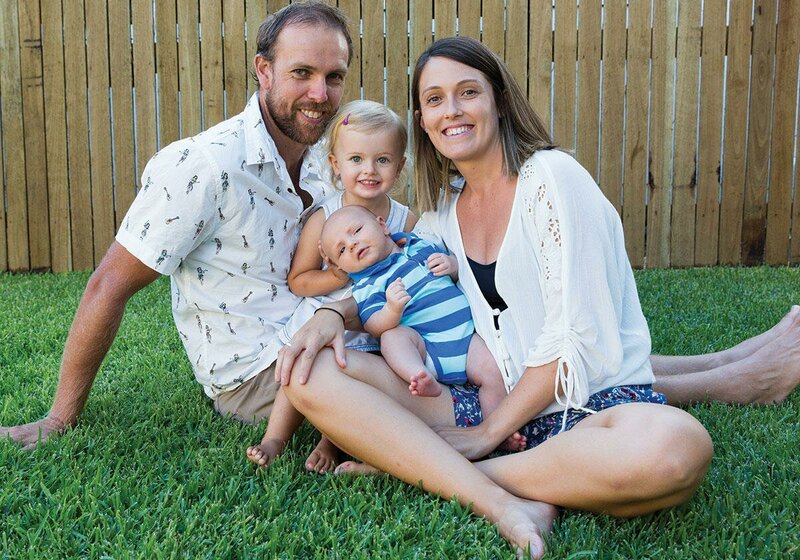 “We entered the IVF industry when a lot of people were having to go to Brisbane for treatment, so it was great to be able to offer local fertility services,” he adds. “Being a small, self-owned clinic gives us the autonomy to meet patients’ needs rather than having to go up a chain of command if we want to do something different,” says James. 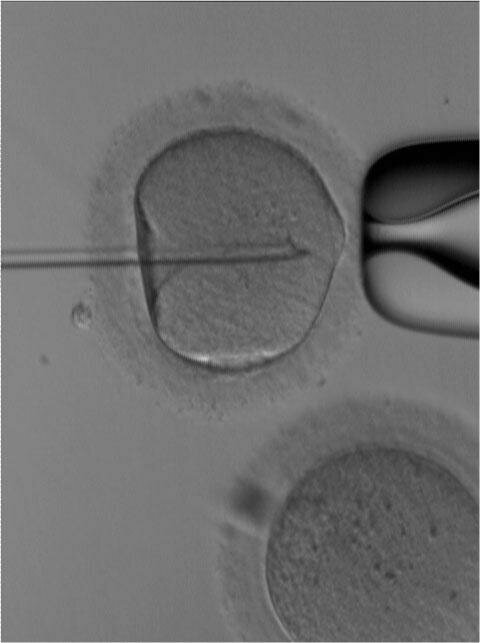 In March this year the clinic decided to make some big changes which saw the sister clinic Affordable IVF merge into Fertility Solutions. These changes mean that the one clinic can now offer patients a tiered structure of treatment options. 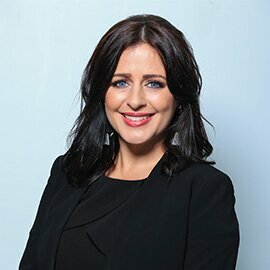 “Our new intermediate low cost option allows patients to have their embryos transferred at a more advanced stage of development, improving their chances of pregnancy by up to 25 per cent based on our clinic results, in addition to this we also closely monitor our patients to determine when treatment timing is optimal,” says Denise. Importantly, patients can choose to be awake or asleep for the egg collection procedure. “Egg collections can be uncomfortable and you are limited to the number of eggs you can retrieve when a patient is awake. Being able to have this done in theatre enables the possibility of having more eggs collected in comfort, increasing the chance of having an embryo for transfer,” says James. It’s easy to get wrapped up in the science and the technical terms associated with IVF, but one glance around the many pictures of cute smiling babies that adorn the walls of the clinic, you are quickly reminded of why this special bunch of people do what they do. “Sitting with a couple who are trying desperately to fall pregnant and having the ability to get them to the other side is a very powerful thing, it’s a privilege to be part of that,” says George. James nods his head in agreement, “It’s a very special thing to be part of. Our aim is to achieve a pregnancy for all, but this realistically doesn’t happen, so we hope that couples who end up without success feel they have also been looked after well and treated with compassion”. I leave my interview in awe of the work these incredible people do every day and that evening I hold my three children a little tighter before bedtime. They really are life’s biggest gift. In Vitro Fertilisation (IVF) is a process where an egg is fertilised by sperm outside the body. The technique involves monitoring and stimulating a woman’s ovulatory process, removing eggs from the ovaries and letting sperm fertilise them in a laboratory. The next level of IVF is ICSI (Intracytoplasmic Sperm Injection) whereby the sperm is injected into the egg for fertilisation. The fertilised egg is then cultured for two to six days before being transferred to the patient’s uterus. Professor Sir Robert Edwards, the physiologist who developed the treatment, was awarded the Nobel Prize in Physiology or Medicine in 2010. 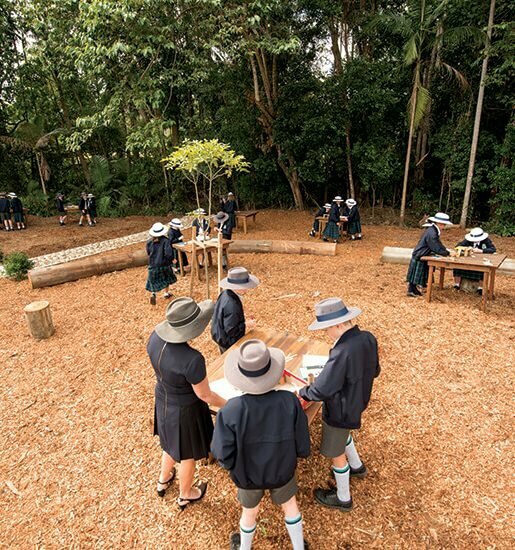 On first impressions, the Leahys are like any other typical Sunshine Coast family-of-four. Baby Oscar lies cradled in the warmth of his grandmother’s arms, her eyes full of pride, his two-year-old sister Ivy is having an afternoon nap in her room. The floor is scattered with toys and the fridge covered with pictures of baby scans and cute family snaps. But this is no ordinary family, what these children’s parents have endured to create their little family is nothing short of incredible, their conception a miracle that without the help of IVF would never have happened. “I knew from an early age I wanted to be a mother above a high profile career or travel or a fancy house, those things could wait,” says mum Coby, who planned to start a family straight away with husband Brett, as soon as they were married. After seven months of trying unsuccessfully, the couple’s GP did some initial testing and referred them to a local fertility clinic. The couple initially underwent a procedure called IUI (intrauterine insemination) where the best sperm are selected, processed and inseminated into the female’s uterus at the time of optimal ovulation. 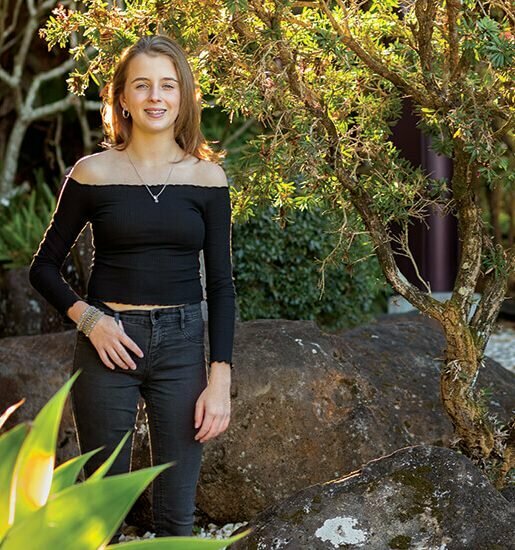 During her treatment doctors found cysts on Coby’s ovaries and she was also given the devastating news she had endometriosis. “It was an emotional rollercoaster,” says Coby. “I had to have surgery for the endometriosis, we did some things to improve Brett’s health and because we were so young they advised us to give it some time and try again naturally. After undergoing a second surgery, the couple decided to try the next level of fertility treatment – IVF. “We were lucky that the same clinic offered IVF that was affordable, so we started our IVF journey. It cut our costs in half and gave us hope,” says Coby. After an agonising two-week wait after their embryo transfer, the couple received the news they had been waiting on for three years. “We were allowed to do a home test on a certain day, but it was so hard to wait,” says Coby. A blood test the next day confirmed the pregnancy and their little miracle Ivy was born in January, 2014. “When we were handed our baby, the three years of trying, the blood tests, the ultrasounds, the surgeries, all of that just fell to the wayside and it was a whole new world. It was all so worth it,” says Coby, both of us welling up with tears at her recollection of that magical moment. Twelve months later, a second round of IVF delivered more great news, the couple was pregnant again, however in a cruel twist of fate, Coby miscarried at 10 weeks. However this story does have a silver lining, yet again. Using a frozen embryo from that IVF cycle, the couple was blessed with their second little miracle, son Oscar born in February this year, and they couldn’t be happier. Watching him rest peacefully in his grandmother’s arms this beautiful baby is oblivious to what his parents have been through to bring him into this world, but one day he will understand and he will thank them and the wonderful doctors, nurses and scientists for giving him the miracle of life.